Are chosen by the athletes at our Centre to represent and support them. 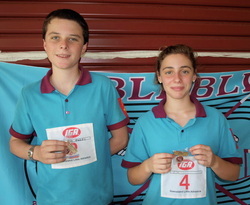 1 Male & 1 Female athlete from the U13 & up age group. Nominating athletes will be required to deliver a speech to all age groups, who will then vote on which person they wish to hold the positions.